Chartered Accountants Pawley and Malyon have made available their 2009 Budget Report following the Chancellor’s budget speech on 22nd April. Business Link, providers of a wealth of business support, administers the distribution of regional grants and funding. With regards to business websites and on-line marketing, Toucan Internet LLP has surpassed the entry requirements and is now included the approved supplier brokerage list. Once your website has been properly optimised for the search engines, directories and local search tools, it is ready to be promoted. This is where so many websites fail as there is a need to watch how a website is accepted or not by the search engines and optimise accordingly. 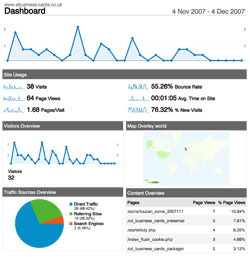 The Search Engine Marketing (SEM) performed by Toucan Internet is a mix of promotion, monitoring and feedback. The feedback is written with the sole objective of improving website performance and is focussed on specific improvements and other activities in line with the identified goals. We provide feedback in the form of reports and a commentary that you can act upon as you feel appropriate. It does give you the professional test and monitoring essential to any business activity. Search Engine Optimisation and SEM are essential and inseparable partners, each one feeding the other in a continual loop of improvement and following the ever changing credential required for on-line success. Toucan promote to the search engines (SE) and alike in a number of ways. Since Google is the prime referrer nationally and internationally for b2b and b2c, this search engine is the prime focus of activity as it will return the highest rewards once successful. Google and DMOZ are reviewed manually every session in some depth. You will be asked to include a Google verification code in your website so we can gain access to Google’s valuable activity and performance data held on your website in their webmaster reports. We will also suggest you add a Google tracking code so we can access the visitor data captured by them and therefore provide qualified feedback. We promote to the prime SE manually and the rest using automatic submission software. We manually verify your listing on MSN, Yahoo UK, Google and DMOZ – The Open Directory Project. We perform this comprehensive SEM routine on a cyclical basis and most clients have in place a repeat order for Toucan to do this work until advised otherwise. After the first registration session the next recommended session is at the six week point and then three monthly thereafter. This programme can be tailored to specific needs. After each session you will receive submission and analysis reports. After the third session the results will normally start to appear and we can see indicators as to how to improve the results, if need be.